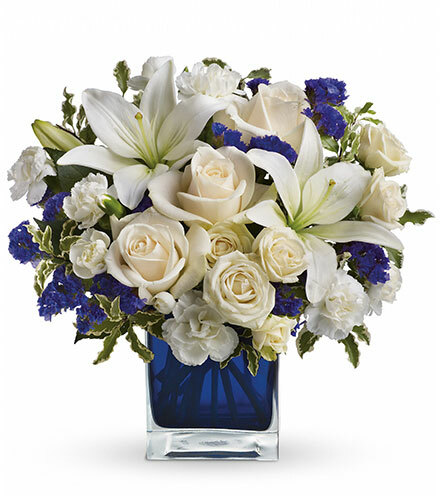 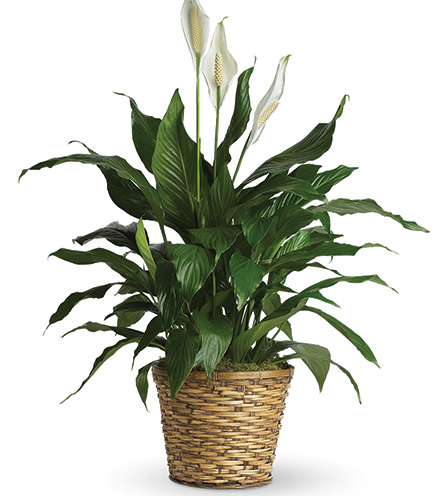 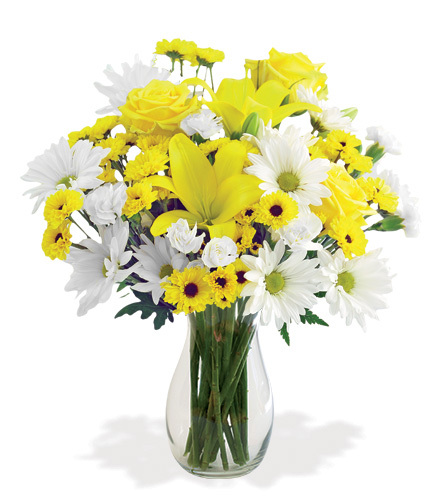 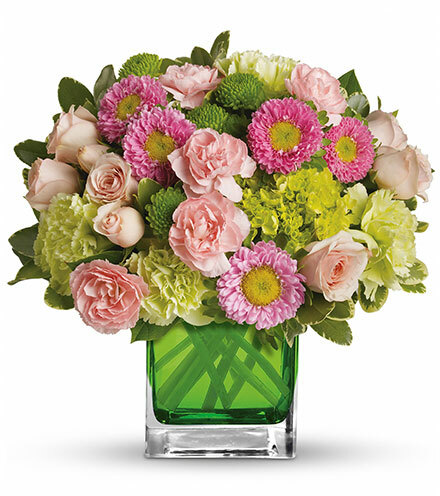 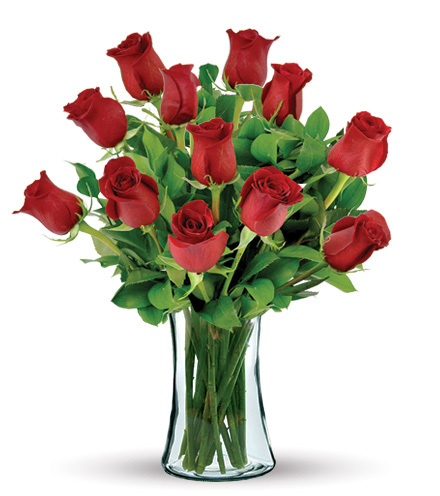 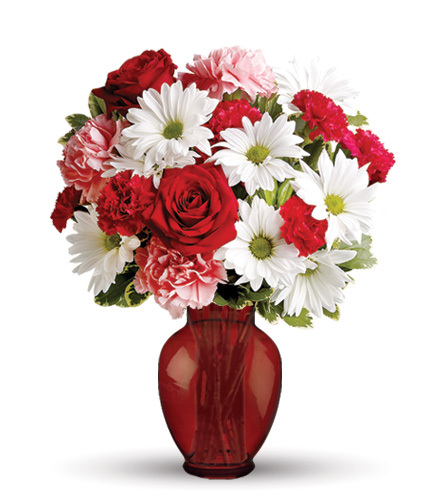 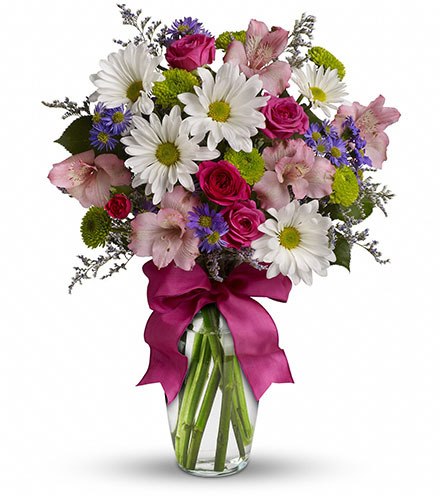 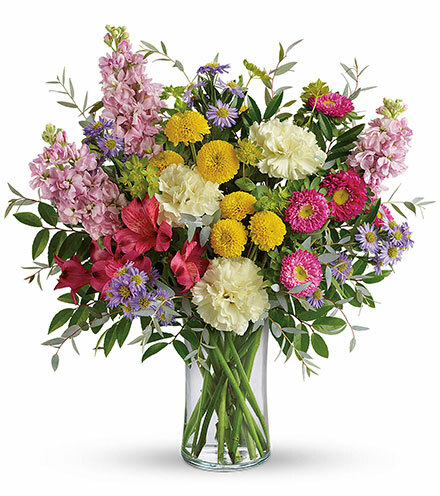 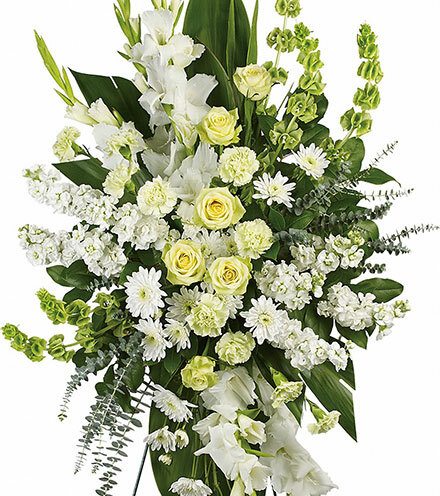 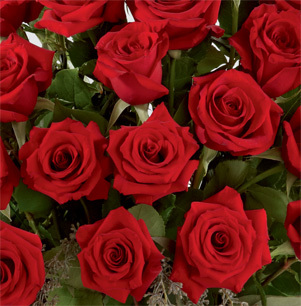 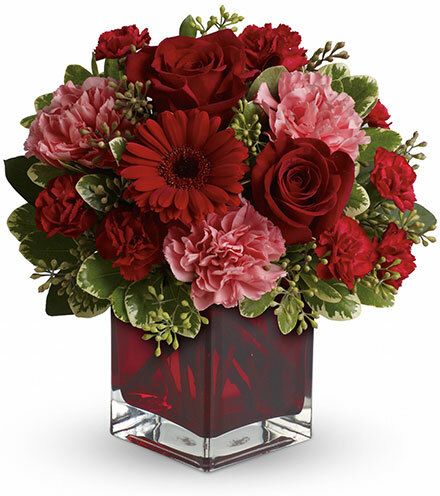 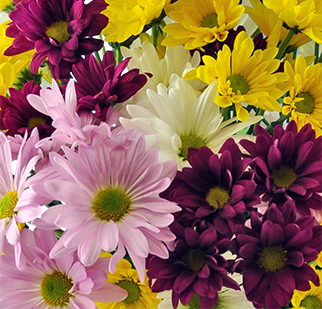 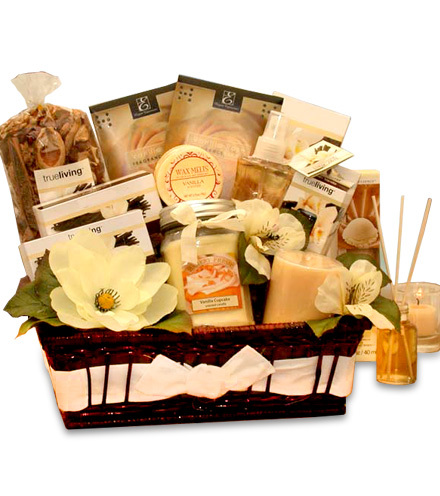 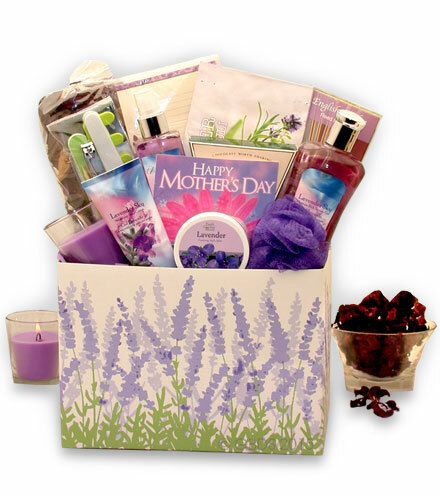 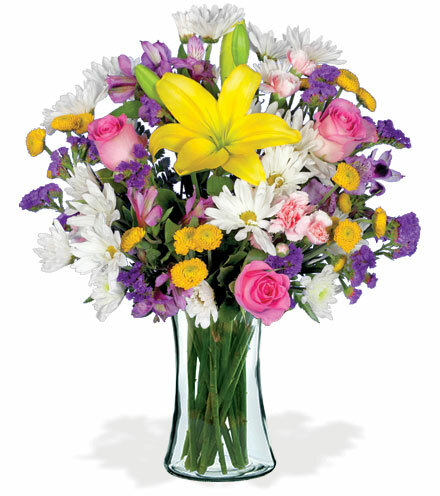 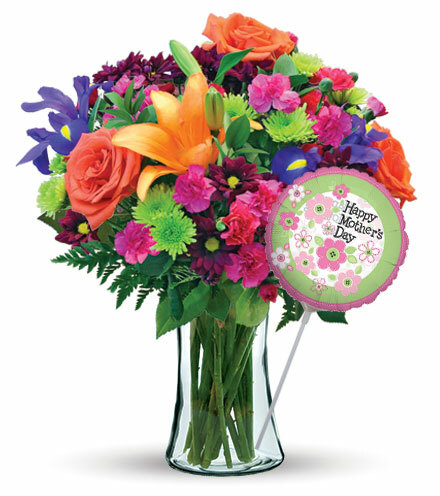 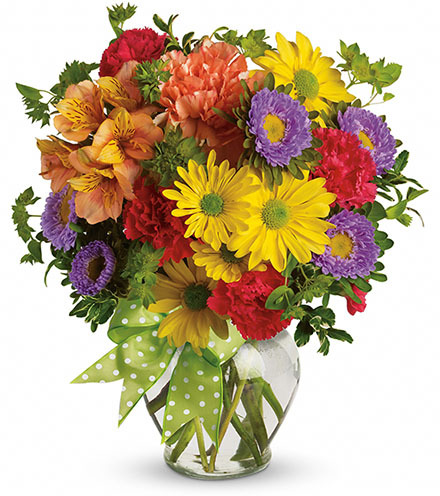 Brighten up someone's day with a beautiful and refreshing bouquet of flowers. 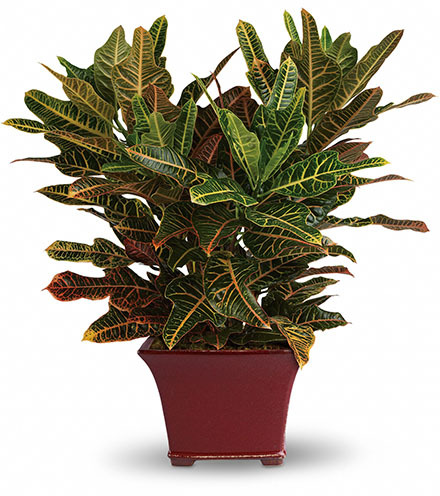 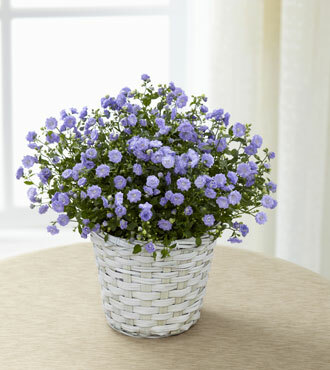 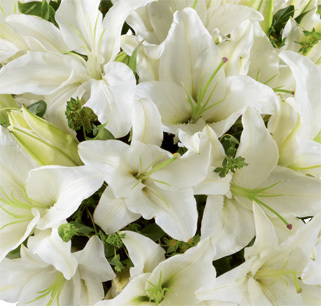 This campanula plant has small and colorful rose-like blooms that will warm the heart of any recipient. 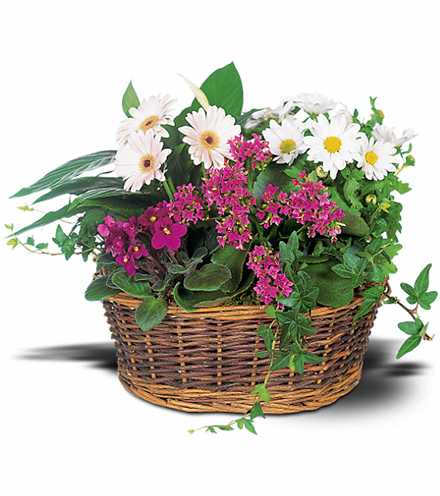 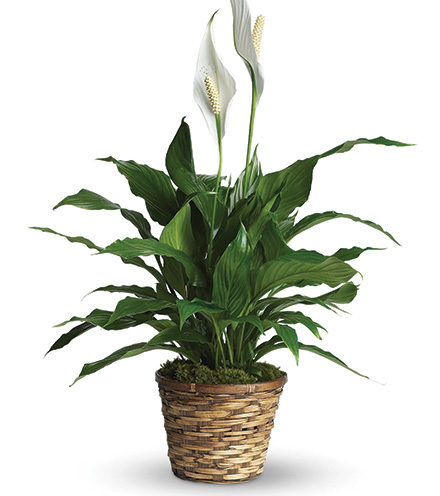 The flowers are striking against a beautifully whitewashed, woven container.